Let’s talk about fiber optic broadband. As defined by certified fiber optic trainers, fiber optic broadband is broadband that provides you rapid and large bandwidth to get a number of gadgets online at the same time. How Does Fiber Optic Cable Work? You can find Fiber broadband in the cables. The cables that bring us fiber broadband are made of fiber optics. These cables are made of tiny tubes that are as thick as human hair. They are also reflective on the inside. These cables send information by blasting flashes of light through tubes. These flashes of light bounce on the walls and travel through the cable. Gadgets, at the end, can then translate these flashes into data. What Is Fiber Optic Cable? The data in fiber optic cable travels at the speed of light. This means you get fast broadband. In fact, fiber optic speeds can range from 38Mb to 1Gb (1,000Mb). Do You Need a Phone Line for Fiber Optic Broadband? Although most broadband connections would be fiber optic, the bit found on your street cabinet and in your house is still made of old copper lines. That’s the reason line rental is part of a broadband package. If fiber optic broadband is available in your area, switching is a breeze. All you need to do is to sign up to a package. Can I Get Fiber Broadband? If your home’s never had a fiber connection before, an engineer may need to visit to install the right equipment in your phone socket. But, that’s the extent of any hassle, and it’s done at no extra cost to you. Once your home has an appropriate socket, all you need to do is plug in your new router and wait for the new fiber service to go live. Fiber-to-the-home (FTTH), meanwhile, means the entire line is fiber from the exchange all the way into your building. It allows for even faster speeds, but is only available in precious few places and can be very difficult and expensive to install. 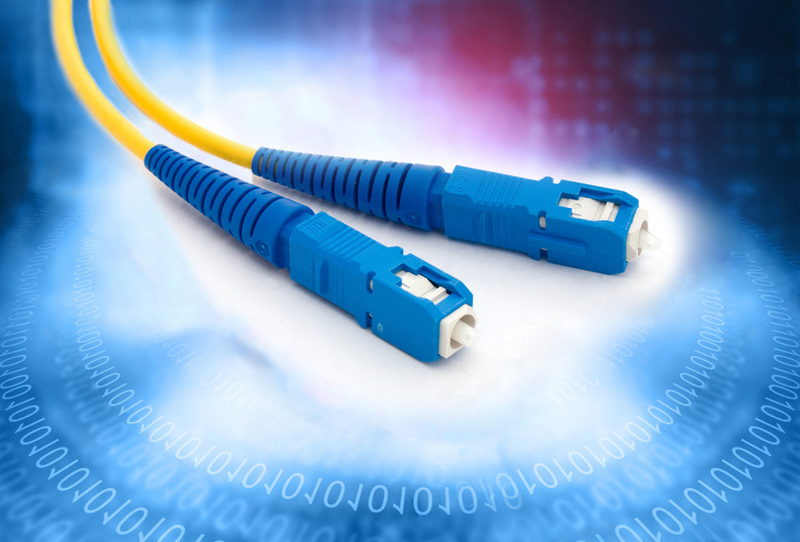 BT offers FTTH connections in certain circumstances, and all of ultrafast provider Hyperoptic’s packages are FTTH. It can also be known as FTTP (fiber-to-the-premises) or FTTB (fiber-to-the-building). Again, one provider that works a bit differently is Virgin Media. If you have Virgin Media broadband, the lines between the exchange and your street cabinet are fiber optic, but between the cabinet and your home is a coaxial cable. Although they’re mostly made of copper, coaxial cables can send data way faster than standard phone lines. That’s how Virgin Media can offer speeds up to 300Mb. Do I Need Fiber Broadband? Fiber broadband is a very useful thing to have, as it’s much faster and a lot more reliable than ADSL. It means more devices can connect at once and still get decent speeds, videos barely buffer at all, and files download nice and quickly.